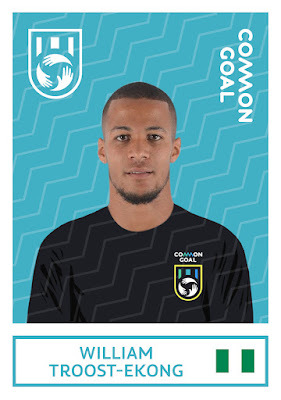 Nigeria defender William Troost-Ekong, currently with Bursapor in Turkey, has become the 43rd member of Common Goal - the movement powered by players and managers donating one percent of their salary to high impact football for good organisations around the world. 40 players and managers have allocated over €400,000 to football for good organisations in six months since starting with a single player, Manchester United and Spain midfielder Juan Mata. At the 2018 World Cup in Russia this summer, Common Goal looks likely to be represented by at least eight players. The 24-year old defender has had a busy past few years. He was a crucial part of the Nigeria national team as they won a Bronze Medal at the Rio Olympics in 2016, and was nominated for the 2017 African Player of the Year for his efforts. In the 2018 World Cup qualification group stage Troost-Ekong played every match for the Eagles. He captained the team in their 1-0 friendly victory against Poland on Friday, March 23. 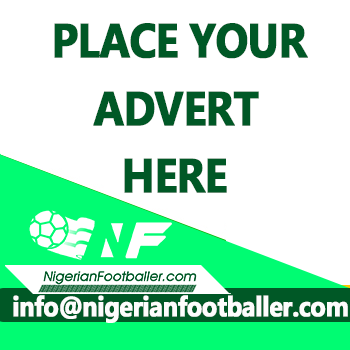 “Winning the bronze medal for Nigeria at the 2016 Olympics and qualifying for the World Cup were both massive moments for me,” said Troost-Ekong. Troost-Ekong’s commitment to Common Goal comes just as the movement prepares to invest funds generated by player pledges for the first time. Next month will see €400,000 allocated to 27 football for good organisations tackling some of the toughest social issues of our time - ranging from HIV/AIDS, to gender inequality and youth unemployment. With new players from all levels of football joining the movement every week, Common Goal is racing towards the 100 player mark in 2018. In the coming weeks Common Goal is set to announce how football fans, and other stakeholders in the game, from around the world can participate in the biggest movement in football. Common Goal is a global movement in which the football community pledges a minimum of 1% of its earnings to football for good organisations that use the game to advance the Global Goals. than 120 football-based organisations that use football as a tool to tackle social issues ranging from gender equality in India to peace building in Colombia to refugee integration in Germany. streetfootballworld supports Common Goal’s members by aligning their donations with social initiatives that generate the greatest impact around the world. (Beijing BG), William Troost-Ekong (Bursapor).